A view of Kanchenjunga and Darjeeling Hotel room view of Kanchenjunga and Darjeeling. This spring, when I informed my friends that I won a $500 Travel voucher to Darjeeling, their reactions were obviously varied. But, our excitement set in as we contemplated visiting one of India’s most famous places, and a UNESCO World Heritage Site. For us, travel to North Bengal is something fairly common (as you can tell from my numerous posts), but this trip promised to be special because my sister, her husband, and my Mom all decided to come along. My love of the mountains makes North Bengal a favorite vacation getaway, but for the rest of the family, Darjeeling was sure to be a treat. This sort of extended, open-ended trip, is the perfect way to travel for our family (maybe any family). Flexibility always being a huge plus when organizing group excursions – fortunately, this time we really needed no such open ended accommodation, and we immediately set out for Siliguri – along our path toward Darjeeling. By 11am we had finished up our lunch in a local restaurant there, and purchased tickets to board on Toy train to reach Darjeleing. 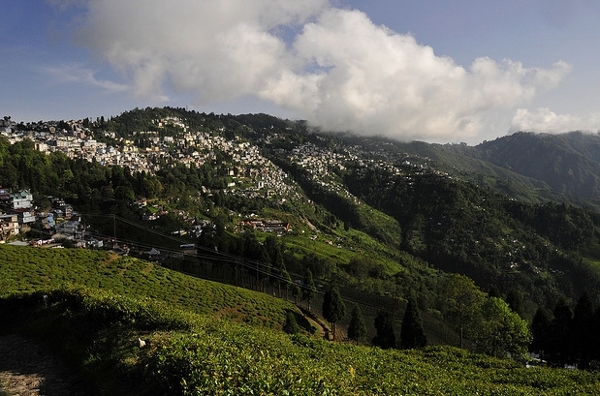 Darjeleing,for those not familiar, is one of India’s most famous mountain resorts. The 6 hours it takes to reach this 7,000 foot paradise passed rather quckly too, light conversation amid the picturesque scenery along the way – this hourglass sands flow rapidly you know? Excited we were on reaching the summit, as much for our family seeing the place for the first time, as for ourselves – and the peace we always find there. 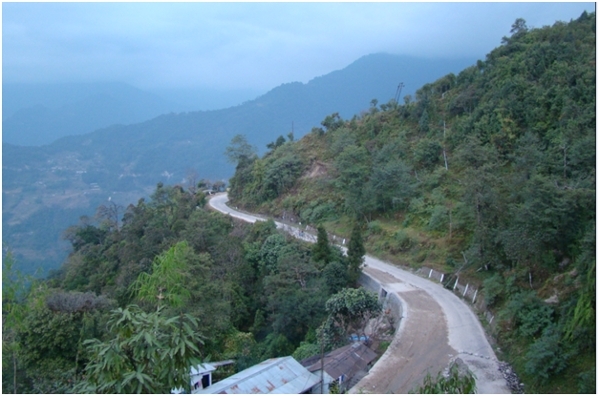 A brief history of Darjeeling tells of the place being gifted to British Empire is 1835 by the King of Sikkim. Soon afterwards the popular hills station became a sort of reprise for the British who wanted to escape from the assaulting heat of the plains in Summer. The mountains are always cool and inviting here. So, we disembarked the so called “Toy Train” at the Mall, a market in the center of the city. We stopped on our way to our accommodation to partake of some of the local pastries – quite legendary they are when taken with the world famous tea at Glenary’s or other local shops here. You see, this area is all about its famous teas. Oh, my goodness! I have to relate the tea gardens. This area of India is legendary for the aromatic teas developed there. The black teas of Darjeeling are some of the most sought after and unique varieties in the world. Across what was the British Empire, this region is considered by many to be the finest growing region in the world. And the tea gardens – or tea estates? These are a botanical paradise in any outdoors person’s book. The tea and tourism walk hand and hand in providing this region with economical subsistence – if not literal prosperity. Below is a brief list of sites you will simply have to see before leaving this region. Aside the aesthetic and laid back beauty of the place, our quests got to experience for the first time, what we had for so long understood about Darjeleing – tea is only one treasure to enjoy from this fascinating place – and not even the finest one. People come in search of the place this commodity is grown, out of some ethereal understanding – where wonder grows – it must be wonderful. And they are not wrong. 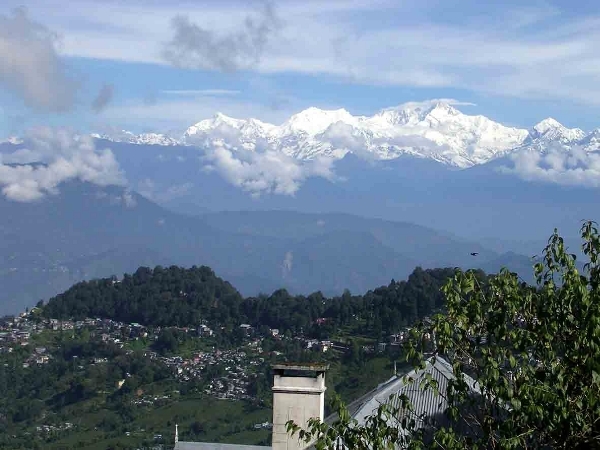 But, Darjeeling – the mountains all about it – there is a serene majesty here. My sister and Mom recognized it almost immediately. 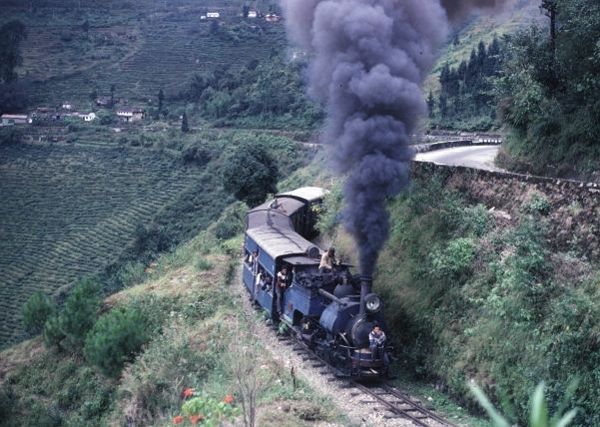 One only has to get past the pleasant distraction of the city center, the light smells and sounds of merchants, the sweet whistle of one of India’s last steam locomotives – and there before you are the vast mountains, the tea plantations – a sort of Earth goddess notion of this place. I always get the feeling that if God loves tea, it is here that he takes a daily break. I hope that one day, you will be able to experience what must certainly be Lord Buddha’s tea garden on Earth – Darjeeling.